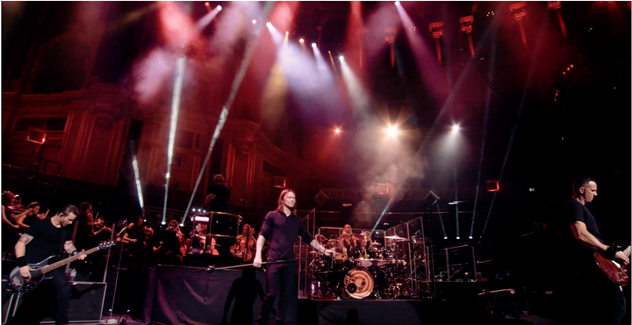 With the release of the previous two live videos for “Addicted To Pain” and “Words Darker Than Their Wings,” from Alter Bridge’s career-defining live release Live At The Royal Albert Hall Featuring the Parallax Orchestra, fans have been patiently waiting for something new from those historical concerts. The band has released another rarity from their catalog, a live performance of “The End Is Here” from their 2004 debut release One Day Remains. “The End Is Here” is the last song on the album that introduced Alter Bridge to the masses and is a track the band hasn’t performed since their first touring cycle. The live performance from Royal Albert Hall also showcases one of the rare moments in an Alter Bridge concert where frontman Myles Kennedy puts down his guitar and his only instrument is the voice that makes him one of the most recognizable performers in rock music. The video for the track can be seen here: https://youtu.be/p7sdjPH513c and the audio is available via all streaming partners. After 14 years performing together, five full-length studio albums, and countless sold-out shows around the globe, Alter Bridge is releasing the epic Live At The Royal Albert Hall on September 7th via Napalm Records. 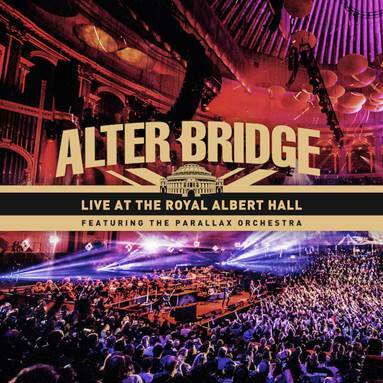 The live album and DVD was recorded in October 2017 when the band performed two sold-out shows at London’s iconic Royal Albert Hall backed by the 52-piece Parallax Orchestra led by conductor Simon Dobson.Live At The Royal Albert Hall is a 21-song collection that features some of Alter Bridge’s biggest hits, fan favorites and even a couple of rarities. Songs like “Before Tomorrow Comes,” “Ghost Of Days Gone By,” “The Last Hero,” and “Broken Wings” all find new life with the unique arrangements presented by Dobson and the Parallax Orchestra performing with the band. The pre-order for the release is live and fans can order various audio and video configurations including Blu-Ray, DVD, CD and Vinyl as well as other unique bundles with exclusive content. The pre-order is currently live here: http://smarturl.it/LiveFromTRAH and at www.alterbridge.com. Fans that pre-order the album digitally will receive instant downloads of “The End Is Here,” “Words Darker Than Their Wings” and “Addicted To Pain.” A portion of the proceeds from all sales will go to the Future Song Foundation; an organization that Myles Kennedy is closely involved with. Alter Bridge burst onto the music scene in 2004 with the release of their gold-selling debut, One Day Remains. In 2007, the band released Blackbird, the album that elevated the band’s profile worldwide. The epic solo in the title track “Blackbird” was voted “Greatest Guitar Solo Of All Time” by Guitarist Magazine. ABIII was released in 2010 and the single “Isolation” gave the band their first #1 single. In 2013, the band reached an elevated creative and critical plateau with Fortress. It bowed at #12 on the Billboard Top 200, moving over 30,000 copies first-week and earning unanimous tastemaker praise. The record garnered perfect scores from Total Guitar and KERRANG! as well as acclaim from Billboard,The Guardian, Loudwire, Ultimate Guitar, and many more. In between sold out tours in Europe and North America, the guys appeared on VH1 and graced the cover of Classic Rock Magazine who labeled Fortress, “The best thing they’ve ever done,” while Eddie Trunk called it, “A top 10 album of the last 10 years.” 2016’s The Last Hero gave the band their first Top 10 album since their debut. Alter Bridge has appeared on The Tonight Show and Jimmy Kimmel Live and their music has been used by the WWE, Major League Baseball and NASCAR to name a few.